Not so long ago, I went to London with a friend and her daughter to an appointment at the Great Ormond Street Hospital. 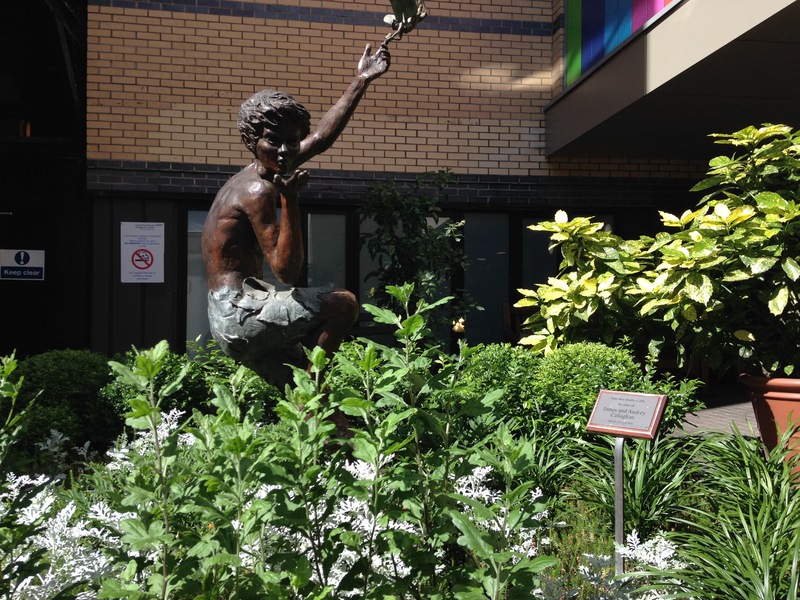 The very first thing we saw on entering the hospital was a statue of Peter Pan and Tinkerbell. It immediately put us all at ease. Not many people like visiting hospitals but Great Ormond Street is bright and colourful and everywhere you go Peter Pan is right there with you. 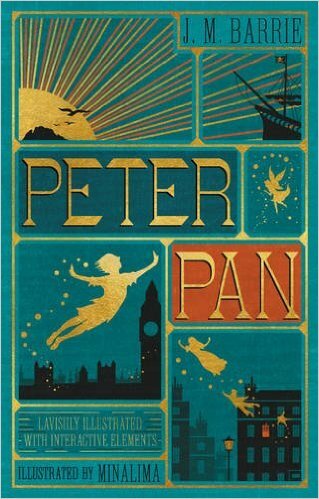 In 1929 JM Barrie gave all the rights to his book and play Peter Pan to GOSH. Since then the hospital receives royalties from the sale of Peter Pan books and other products, and each time a production of the play is staged. JM Barrie asked that the amount of money raised from Peter Pan should never be revealed and Great Ormond Street Hospital has honoured this wish. Last month a new edition of Peter Pan published, designed by MinaLima – the design studio behind the graphics for the Harry Potter films. The book is jam packed with colourful pictures and interactive removable features, including a map of Neverland, a croc o’clock with hands that rotate to tell time and Peter Pan’s shadow. HOW COOL IS THAT! HAPPY BOOK BIRTHDAY J.M. BARRIE. And thanks for a wonderful gift to an amazing hospital. What’s the nicest gift that you’ve ever received? It was a very, very impressive place then and I imagine it still is. That’s really funny. I wonder if his patient was called Peter! I’m glad you liked the books.😀 How’s the writing going? That sounds exciting. Did you enjoy the concert?